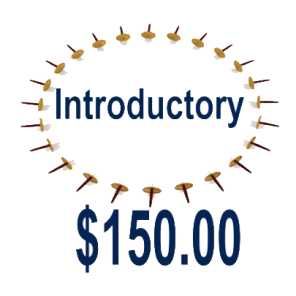 Our Introductory program is the best choice if you are new to fencing and would like to learn the basics. Our 9-week program will teach you the basic techniques of footwork, stance, distance, blade control, basic attacks and parries, history of fencing, and safety rules. Once you have completed this 9-week program, you can advance to our Beginner, Intermediate, and Advanced levels through membership. Yearly Membership. 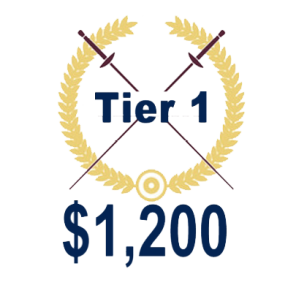 $1,200. Our most affordable choice of membership. This is a 12-month membership, and must be paid in full at time of registration, and is non-refundable. This amount includes the use of all Club Gear, and access to Open Fencing at no additional cost. Because this is a deeply discounted fee, a “hold” can be requested for a period of time, without losing any of your 12-month fencing period. 25% discount for additional family members. Monthly Membership. $138 per month. 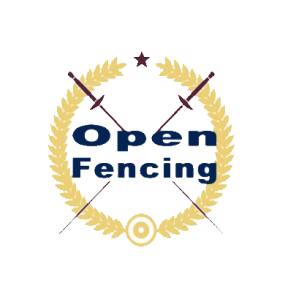 This membership option is best for commited fencers who plan on fencing throughout the year, but may want to take time off during the year (summer, winter). This is a discounted monthly rate, based on a 10-month commitment contract. 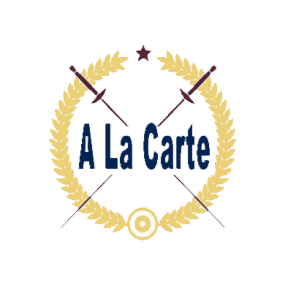 This membership includes the use of all Club Gear, and access to Open Fencing at no additional cost. With this membership you can attend as many classes as are available on our monthly calendar. 25% discount for additional family members. Rolling Monthly Membership. $150 per month (rolling). 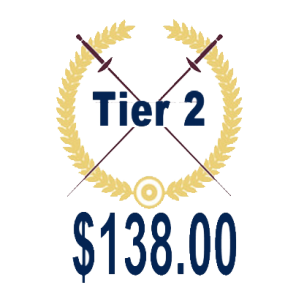 This option is best for the Fencer who needs the flexibility of being able to pay month-to-month. If you are unable to attend classes in a particular month, your account can be placed on “hold status” until you are ready to resume fencing. 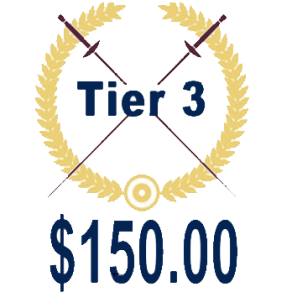 This membership includes the use of all Club Gear, and access to Open Fencing at no additional cost, and a temporary “hold” can be requested on your membership in case you will be unable to attend for a lengthy period of time. with this membership you can attend as many classes as are available on our monthly calendar. There is no contractual commitment with this membership. 25% discount for additional family members. Tuesday, Wednesday, Thursday 8-10 pm. SIGN UP FOR THE TOURNAMENT BEFORE ALL SPOTS ARE FILLED!! !